15th December 2017 - Two new databases are added to our Greater Manchester lead page, listing Railway Sites and Tram Depots. 27th September 2017:- three of our articles have been further updated, with new information - Manchester Architecture Index, Staines in the 1950s recollections, Jaggers family history & its associated database. February 2017:- We have at last renewed contact with Ian Jones! Also with schoolfriend Geoff Bluestone after some 50 years. With the unfortunate demise of the "Friends Reunited" website, we will try to compile some reminiscences of Strodes School days, 1959-66, to add to our Staines page. A new article on our Bala model railway has appeared in the August 2016 edition of "Model Rail" magazine, with some excellent creative photography by Chris Nevard. 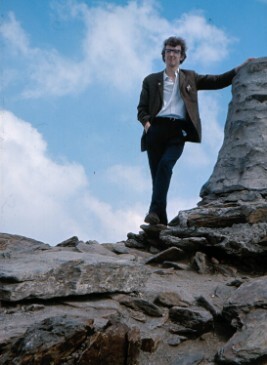 12th July 2014: Our Bangor area buses spreadsheet is updated to include much new information from Richard Ward, a former college colleague in the 1960s - many thanks, Richard! 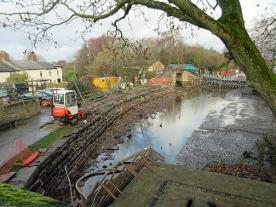 For a few days in December 2018, a short section of the canal in Poynton has been drained for repairs, for the first time in living memory. There has long been a rumour that some of the Colliery coal boats were sunk here in the 1920s - this can at last be confirmed! 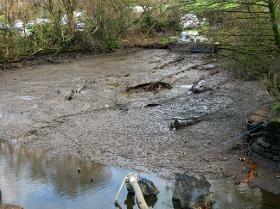 There are at least 4, and possibly 8 or 9 now almost completely sunken into the mud, seen in the photo below - they don't look in very good condition though! 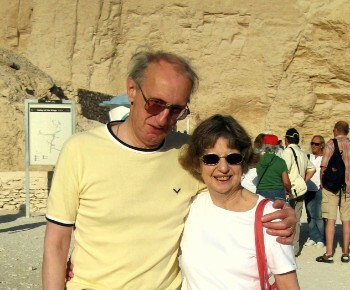 In the Valley of the Kings, Luxor, Egypt, May 2009 at 6.00 in the morning - comfortably cool then! 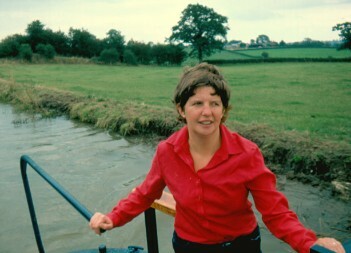 On the Llangollen Canal, 1984, with inevitable tree growing out of head! The "Hugh Napier" runs again - 40 years since we started its restoration at Penrhyn Castle, and something I never thought we would see! 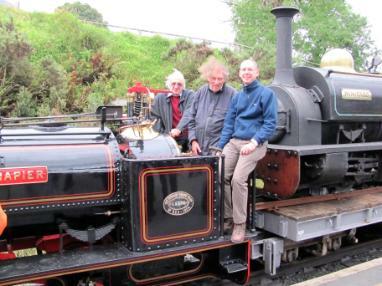 At Beddgelert station, Welsh Highland Railway, during the "Quarry Power" weekend, September 2012. Left to right: Keith, Ifor, Ian Tate. Behind us the loco "Winifred", recently returned from the USA, in the same condition as when it left Penrhyn Quarry in 1965! 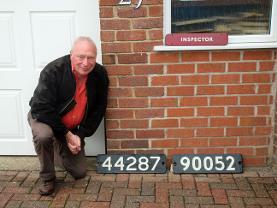 Ian is reunited with his railway relics recentlyafter some 30 years! 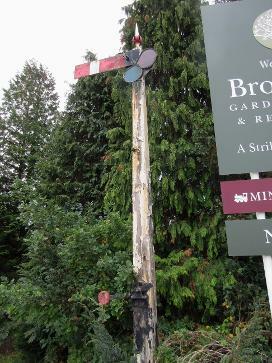 At the recent auction of railway items from Brookside Garden Centre, we had hoped to buy this old and decrepit GWR signal cheaply as spares for our own identical one - however, bidding started at £500 and sold for several hundred more - no idea these things were so sought after these days!